Shop our large selection of decorative and vintage style statues. Looking for a Statue of Liberty of a Betty Boop? We have them in different sizes and shapes. Or what about a butler or waitress? Bennies Fifties / Fifties Stores offers you a wide collection of decorative statues. 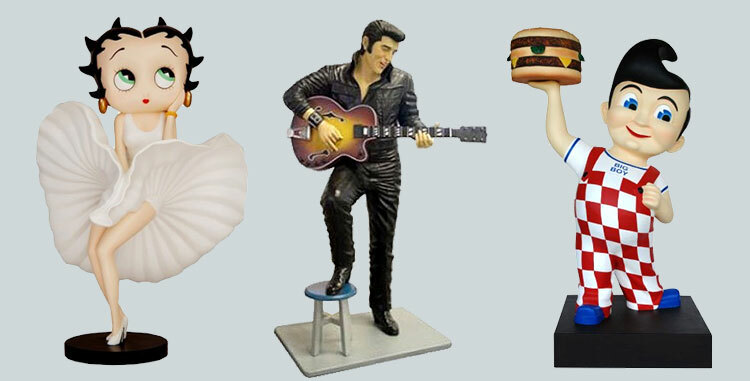 Wall statues, standing statues, life size statues, small statues, animals, airplanes, or even Elvis Presley, Betty Boop, Marilyn Monroe or the Statue of Liberty. All in 3D resin. Shop the large collection at the Fifties Store.